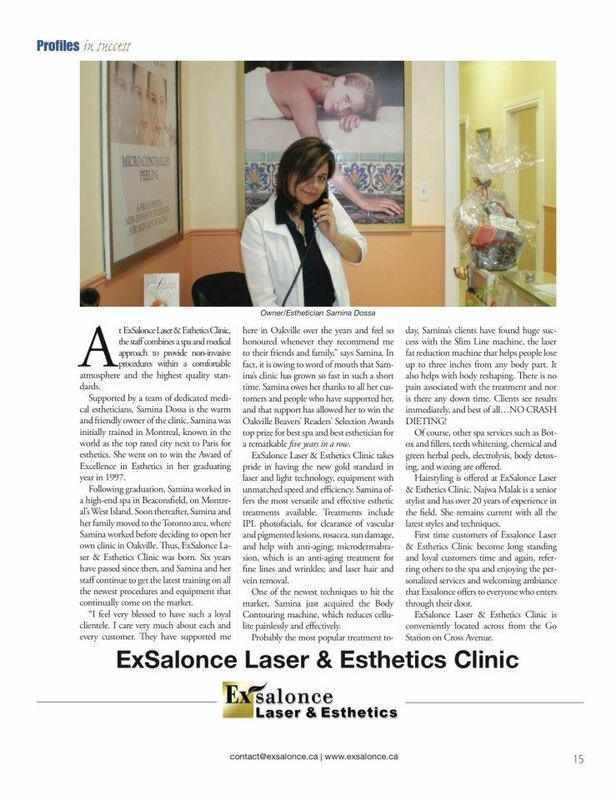 ExSalonce Laser & Esthetics Beauty Salon in Milton offering best SPA facials, skin treatments to make you look amazing, feel confident and transform health. Voted Best Spa & Esthetics in 2018 - 11 years in a row! We combine a spa and medical approach to provide non-invasive procedures for your skin within a comfortable atmosphere and the highest quality standards. We are committed to making you look amazing, feel confident and transform your overall health and well being. We provide only the finest products and equipment and deliver un-paralleled pampering and relaxation. Sign up and receive 20% OFF your first Treatment.